Kale grows best in zones 7-10. Kale has deeply ruffled sturdy leaves on a stem that rarely grows taller than 24 inches. You can harvest the leaves throughout the winter, but the plant needs plenty of water. Kale can tolerate temperatures as low as 20F degrees, but will start to turn bitter and become tough in temperatures over 80F degrees. If you’re planting during the cool season, find a spot where your kale will receive full sunshine. If you’re planting during the warm season, or in a warmer climate, plant kale in partial shade. 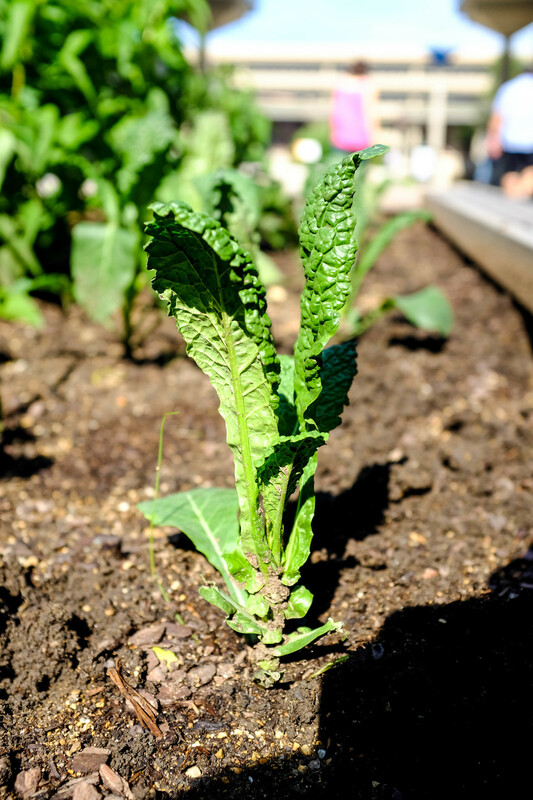 Kale enjoys companion plants such as beets, celery, herbs, onions and potatoes, but does not enjoy being planted near beans, strawberries or tomatoes. Kale also prefers loamy, well-drained, moist (but not soggy) soil of average fertility. Surprisingly, it isn’t a fan of soil that is too rich in nitrogen, so it will do best with a pH between 5.5 to 6.8. If your soil is too acidic, try adding some wood ash to sweeten it. Seeds will germinate in cool soil, but they sprout best when the soil temperature is around 70 degrees. If you’re starting them inside, then do so 5-7 weeks before the last expected frost. If you’re direct sowing the seeds outside, do so 2-4 weeks before the last frost and/or anytime at least 10 weeks before the first frost of the next season. Plants that receive fewer than 6 hours of sun daily will not be as stocky or leafy as those that get ample sun, but they will still be plenty edible. Like collards, kale likes fertile soil to grow fast and produce tender leaves. Enrich the soil with compost and fertilizer before setting out the seedlings. In terms of harvesting, you can begin to cut individual leaves off the kale when the plant is approximately 8 to 10 inches high, starting with the outside leaves first (1). Kale is full of incredible nutrients, including Vitamins A, C, and K as well as calcium, potassium, folic acid, lutein, and antioxidants. Per calorie, kale has more iron than beef, more calcium than milk, and 10x more vitamin C than spinach. These nutritional benefits can improve eye and skin health, as well as a reduction in the risk of heart disease and cancer. Kale also contributes to weight loss, lower cholesterol, and healthier bones. 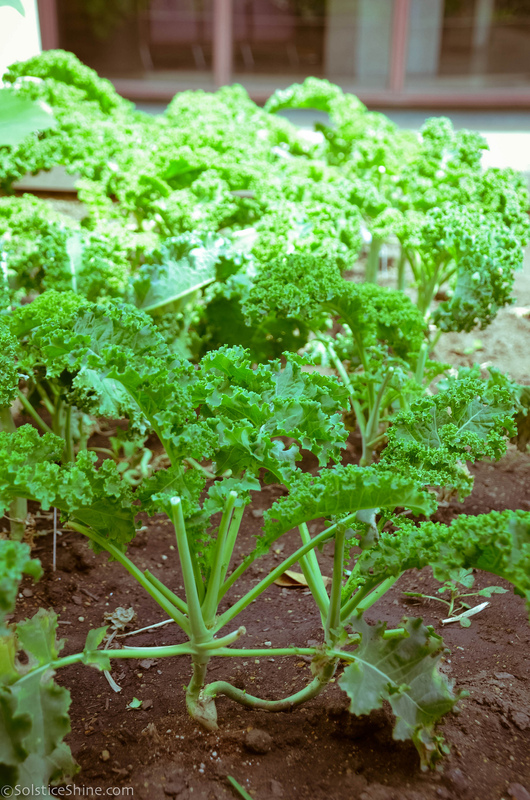 (2) The hotter the planting weather, the more bitter and tough the kale, but even bitter and tough kale is nutritious and can be made into delicious dishes, including pasta, soup, baked goods, and chips. Originally, kale was a form of wild cabbage grown in Turkey. Modern varieties have been cultivated so the plant is sweeter. Kale is quote popular in the Northwestern areas of Germany in Bremen, Oldenburg, and Hannover. Most towns have social clubs that will have a “kale tour” or Grünkohlessen or Kohlfahrt. A traditional dish called Grünkohl mit Mettwurst is prepared, using kale, pinkel sausage, and mettwurst. The kale tours also usually include a traditional German ballgame, Boßeln. These regions also sometimes hold kale festivals where they name kale kings and queens (). In the Netherlands, a traditional dish is made with kale, boerenkoolstamppot, which also includes smoked sausage. In Ireland, a dish called colcannon is made using kale and mashed potatoes, and is usually popular on Halloween - sometimes coins are hidden in the dish as prizes.